For Eve, Irene, Betty and Rosemary, working at the exclusive Heyworth's department store in Cambridge is a dream come true. Once the girls step inside the elegant building - surrounded by luxurious dresses and beautiful accessories - the hardships of their own lives are temporarily forgotten. Serving a variety of curious customers, from glamorous gypsy queens to genuine royalty and stuffy academics to the city's fashionable elite, the store is a place where these young women can forge successful careers, under the ever-watchful eye of flamboyant owner Mr Heyworth. 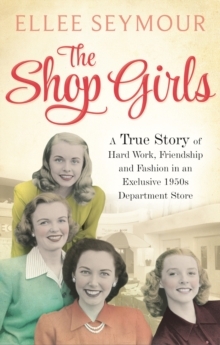 Set against the backdrop of the closing years of the Second World War, and moving into the 1950s, The Shop Girls perfectly captures the camaraderie and friendship of four ambitious young women working together in a store that offered them an escape from the drudgery of their wartime childhoods. Each of the girls' stories will be individually published from July 2014 in fortnightly serialised ebooks, leading up to the release of the complete edition (with bonus material) in September.